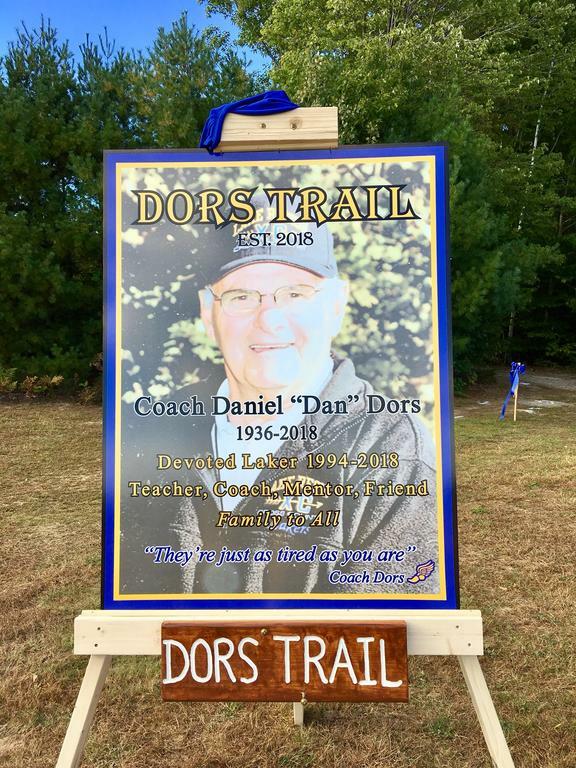 The Lake Region running community dedicated the trail previously known (informally) as “The Jeep Trail” to late coach Dan Dors on Friday, Sept. 28. The ceremony involved a ribbon cutting and the unveiling of a sign. The trail connects the Lake Region Middle School and Lake Region High School fields. Coach Dors spent countless hours working with students, staff and the community at large.